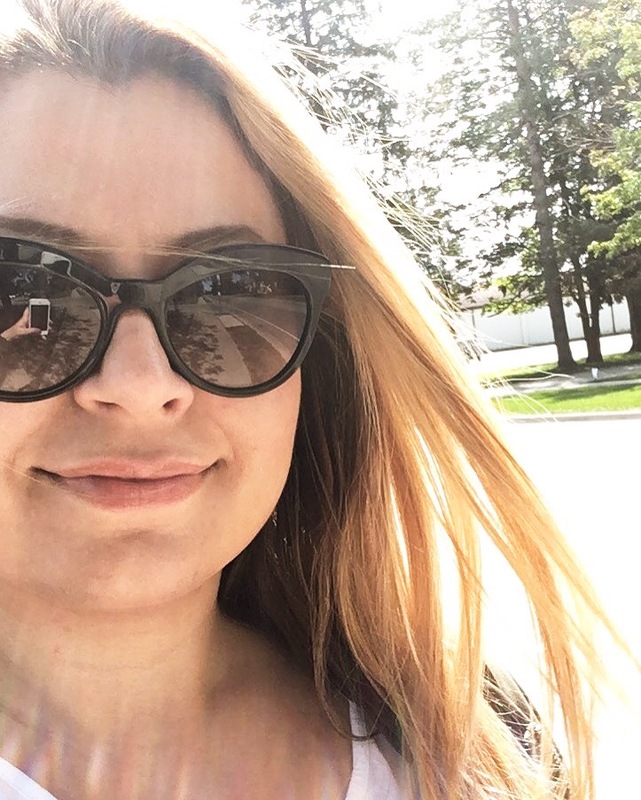 Jill Schwartzentruber jewellery started back in 2004; after a few years of making earrings just for herself Jill realised she can have a side business while in school studying to become an interior designer. I met Jill this past weekend while going in and out of the market area in the Distillery area in Toronto. I first notice her stall because it looked absolutely beautiful with fresh flowers, beautiful table covers and modern displays, I could tell she had good taste even before I looked at her beautiful jewellery pieces. 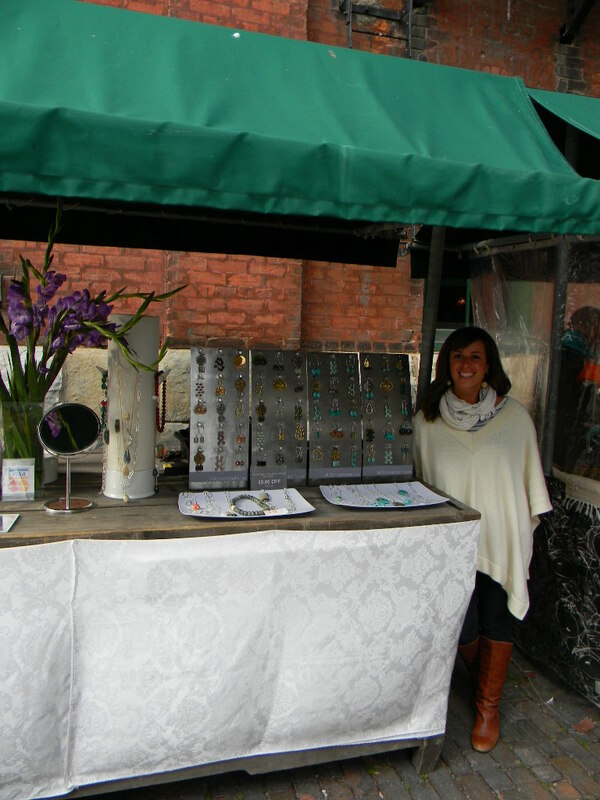 All of Jill’s pieces are simple but interesting, she uses stones in the earthy tones with pops of pinks and turquoise. 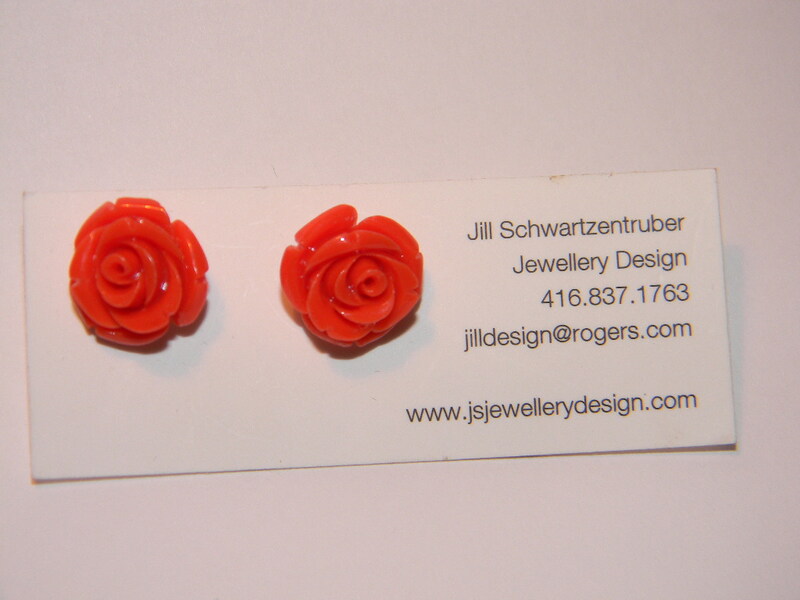 All of the pieces are handmade by Jill and she finds her inspiration from her materials. 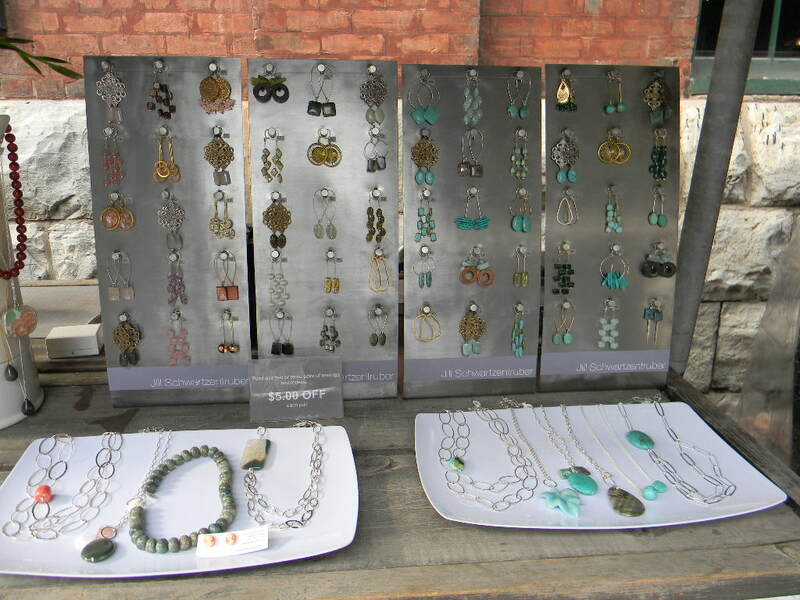 Since Jill is such a big fan of earrings, there is a big selection of them compared to her other pieces such as necklaces and pendants. It even comes with a business card, smart! I’m so happy that I stopped by her stall and met her because of that I found a piece of jewellery that I had looked for a year now, a rosebud stud in a coral color. They are cute, unique and affordable! Thanks Jill for letting me take a picture of you and your beautiful work! I can’t wait till I get more of your pieces. Jill’s Jewellery is available on Jill Schwartzentruber Jewellery website or you can find them at her stall in the Distillery Area market, or if you’re attending the “One of a Kind” Christmas show this year, she would be selling her beautiful pieces there.